A couple of weeks ago we were contacted by a Spanish publishing company called Hércules de Ediciones. 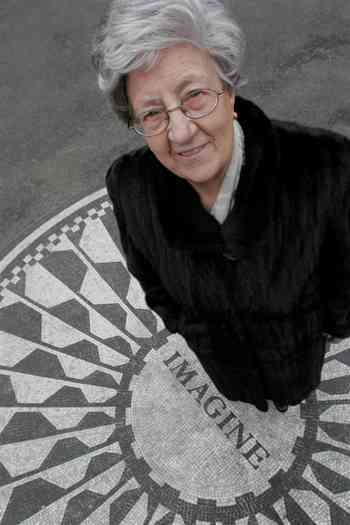 They’ve just released an e-Book called At John Lennon’s House, by a woman named Rosaura López Lorenzo. 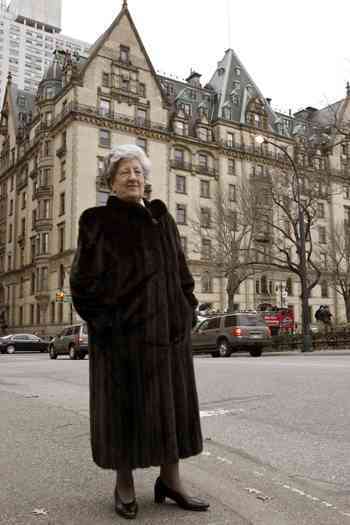 Rosaura was born in Spain but became the Lennon’s housekeeper at the Dakota Building in New York – a job she did for just on four years. It should be said up-front that in writing this book financial profit was the last thing on Rosaura’s mind. She says on more than one occasion that she’s not doing it for any ulterior motives. After all, Rosaura kept her unique story quiet for nearly 25 years. It was only following a chance meeting with the journalist who helped her write down her story that she finally agreed to share her experiences with the rest of the world. Many people would know about John’s time in the US in the late 70s. He’d retreated from public life. He’d all but retired from the music business. He was living happily and quietly in New York, bringing up his new baby son Sean, baking bread, and living the simple life. And we learn that it was Rosaura who taught him how to bake. Born and raised in the Spanish town of Pontevedra in Galicia, she grew up in a bakery and really knew what she was doing. 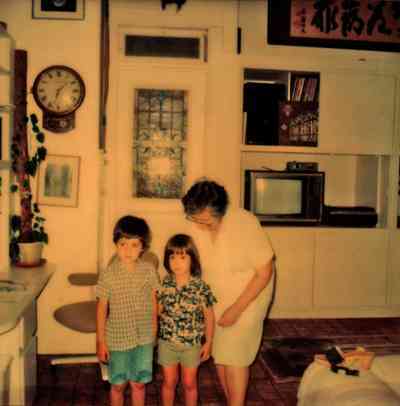 She recalls John saying that making bread to the ancient European tradition made him feel calm and peaceful. It’s simple observations like these which make this book so intriguing and endearing. At the back of the book are many pages filled with photographs of Rosaura Lopez and her family. There are postcards and Christmas cards sent to her over the years by the Lennon’s. And there are many photographs of her interacting with John, Yoko, Sean, and Julian Lennon, too. Rosaura left the employ of John and Yoko abruptly, shortly before John’s murder in 1980. She says she was sacked by Yoko after a vicious spate of rumours spread about her by another nanny keen to get her own relatives employed in the house. Rosaura didn’t get the chance to explain or defend herself for eight years. It was a chance meeting on the streets of New York which brought her face-to-face once again with Yoko. That meeting opened the opportunity for a rapprochement. Later that day the two got to talk for hours and to finally make good a wrongful dismissal. This part of the story is told in full in the book. Rosaura’s memoir has been available since 2005, but only in Spanish (as En Casa de John Lennon): This new English e-Book translation will bring her story to many new readers. In the hundreds of thousands of words written about John Lennon here is a genuinely new and different examination from someone on the very inside of the Lennon household. I have been browsing through the book and enjoying it a lot. It’s a very interesting and sweet little book and not at all voyeuristic. Rosaura has achieved an honest and open account of a unique period in her life – working for one of the most famous families in the world. She does it with integrity. It is well worth a read. 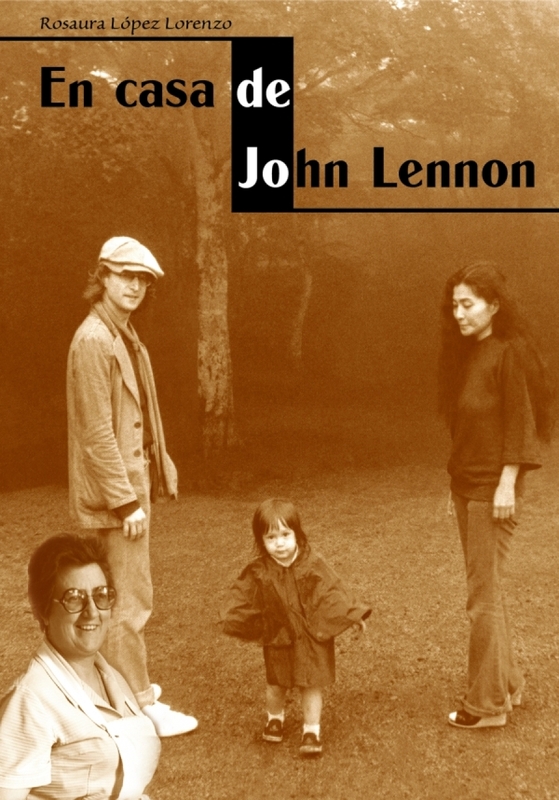 If you have Apple iBooks you can download At the House of John Lennon in English at iTunes here. It is also available as a Kindle book on Amazon here. This entry was posted in Beatles, Beatles Books, Beatles Collecting, Beatles Music, John Lennon, Yoko Ono and tagged At John Lennon's House, Beatles, Beatles Books, Beatles Related, En casa de John Lennon, John Lennon, Rosaura Lopez Lorenzo, Yoko Ono by beatlesblogger. Bookmark the permalink. My John Lennon website has many touching stories about the man I had come to know, beginning in 1976, when I came to work for him at the Dakota. I was older than him and our relationship developed into a friendship. “Barefoot in Nutopia” shares some of my personal experiences with John, during his years of seclusion. My purpose with the website is to create a personal relationship between him and readers. Please share it with your readers. I read about Rosa from Mike Tree who also has an unreleased autobiography of his time working with the Lennons. I am from Peru and did read passages from Rosa’s book. I look forward in buying a copy soon. May she rest in peace. Hello Beatles Blog and William: I’ve known about Rosa’s book for awhile. It was released in Spanish, her native language. So I’m happy to learn that an English version is now available. Rosa was a sweet woman, who was fired by Yoko, when a coworker accused her of stealing. It was a bad business!! Rosa was in love with Sean and John, so it didn’t endear her to Yoko, who would not allow anyone else to compete for their affections. I have finally secured a publisher for my memoir about the years I worked for Yoko and John. It will be released in the fall of 2017, about the time of John’s birthday. It has been a very long journey. My website (www.barefootinnutopia.com) was created to reject all the bad stuff written about John, and to share some of my own experiences. Finally, everyone will have a chance to read the true story of John’s final years. Hello Mike, I look forward to reading your book. A quick question for you Mike. Did John ever show you his instruments? The reason for my question is that I heard that he still had his Mother Julia’s banjo, that she taught him to play on. According to John’s half sister Julia, the Banjo disappeared from their home on Blomfield Road Liverpool, shortly after Julia’s death in the late 1950’s. I heard from one of John’s old friends that John was responsible for the Banjo’s disappearance. He took the banjo and kept it with him at his Aunt Mimi’s home where he lived. Apparently, he took it as he didn’t want to get involved in a family dispute over who got to keep it. One of his old buddies told me the story. People have been wondering for years where that historic instrument is. Cheers Mike, I look forward to reading your book. Yes, I saw all of John’s instruments. A small room was dedicated for them, and also assorted amps, speakers, electric pianos, cables etc. There was an all-wood ukulele in the room. I have a picture somewhere in my archives of him playing it. John had two 5-string banjos. A poorly-made Japanese bluegrass style instrument with a covered back, and a Pete Seeger style banjo with an extra-long neck (7 frets above the fifth-string peg). But I never saw a banjolele, which, I believe is what his mother played. This is a ukulele with a banjo head. It was popularized by George Formby, a popular radio and film entertainer in 1930s-1940s from Blackpool. John told me that Lonnie Donegan had also played the banjo. But I don’t recall ever seeing or hearing him play one. On the evening of the US Presidential election (Tuesday, November 4, 1980), John and I watched some of the returns on television. 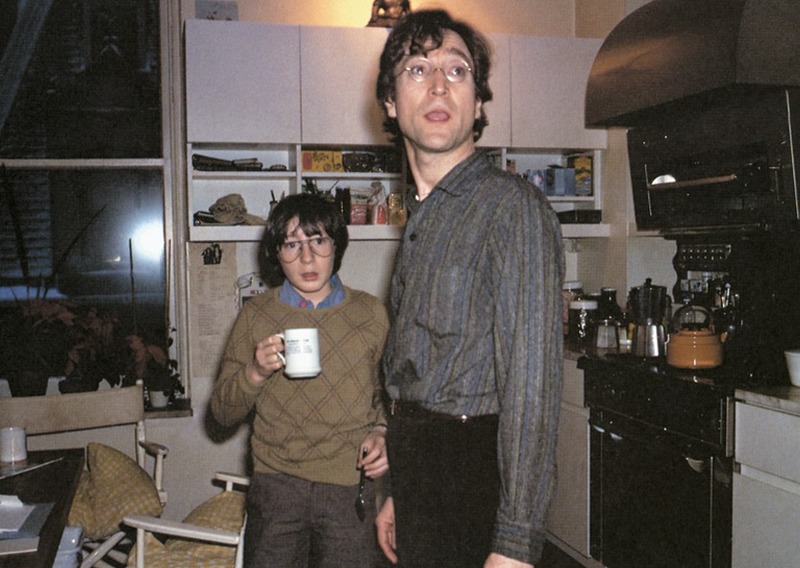 I told him I was psyched by the Double Fantasy sessions, and that I was going to start playing the banjo again. Years earlier, we had talked about my playing during the 1960s folk revival. He turned to me and said he had thought about again picking up the instrument, but this thought must be coming from me. To my utter amazement, John gave me one of his banjos. At first I thought he was just lending it to me. But he insisted that I take it, saying he would never use it. It was his way of saying, “So why don’t you play again!” I also have a picture of him with this banjo. For many years after his death, I did renew my playing. Hi Peter, Mike has responded. Check the “Comments” page. Wonderful and Beautiful, it is so nice to read things people want to know that are amusing and endearing a life long fan, this book I am sure will be a keeper. I cannot see the English translation e-book on iTunes? Hope this helps you find it!